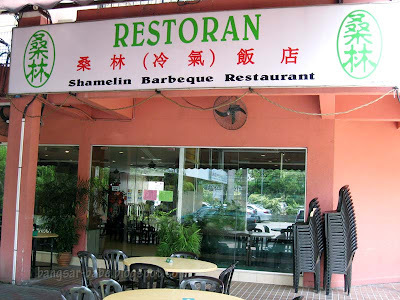 After a disappointing version of Mongolian chicken at a stall in Damansara Uptown, I promised myself I would go back to Shamelin Barbeque Restaurant to get my Mongolian chicken fix. The restaurant is quite secluded, and I only knew about it when I was working nearby. Personally, I find the area quite dodgy, and I don’t like being there when it gets dark. However, this is one of the few restaurants I love to go to for a good Chinese meal. I thought this was sweet and sour pork, but rif corrected me and told me it was Marmite pork (RM16). *shy* The dish consists of deep fried pork pieces, stir-fried in a sweet and sticky sauce made of Marmite, sugar and soy sauce. 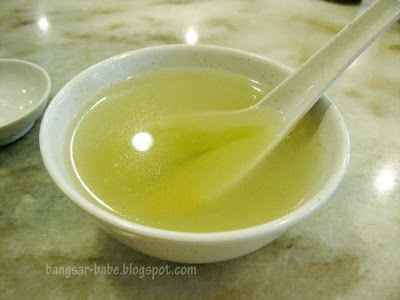 Most Chinese restaurants serve this, and Shamelin does a pretty decent version of this ubiquitous dish. rif and Tgin both agreed with me. The sauce had a lovely caramelised sweetness, while the pork pieces were tender and full flavoured, with a small layer of fat. I braved the traffic and distance for this, the Mongolian chicken (RM24 – half bird). That being said, I highly doubt this is the authentic Mongolian chicken. 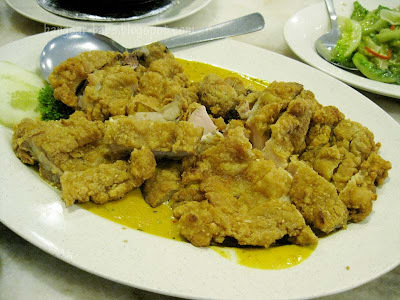 Shamelin’s version is merely deep fried chicken in a creamy and fragrant curry-like sauce. The chicken was well fried, resulting in a golden brown exterior and it was not greasy at all. Instead, it has a palpable crispiness and was succulent on the inside. I reckon the batter had been seasoned, as the chicken was flavourful on its own. 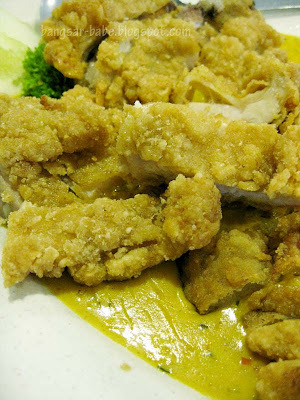 The gravy had a hint of spiciness from the curry powder, which helped offset the creaminess of the sauce. This dish is not in the menu, as it is a special request from my former boss. When I first tried it, I liked it so much, I ordered this for rif to try. Since then, we always order the Mongolian chicken whenever we eat here. 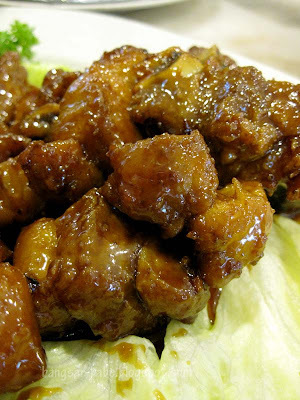 So far, none of the Mongolian chicken dishes I’ve tried elsewhere can compare to this. The claypot tofu (RM15) was alright. It was not bad, but it was nothing to shout about either. I liked the addition of fried foo chuk and pork skin, which gave the dish a variety of textures. 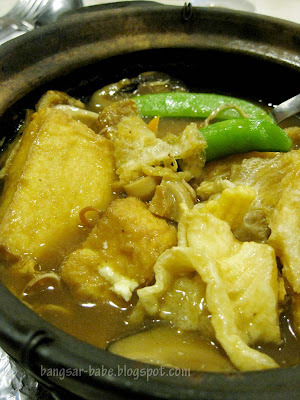 The egg tofu is first fried, before being cooked in the claypot with quartered onions and vegetables. Some places tend to go overboard with the cornstarch, but this gravy had just the right consistency. My only gripe was that it didn’t have salted fish. That would have given the tofu an extra “oomph”. 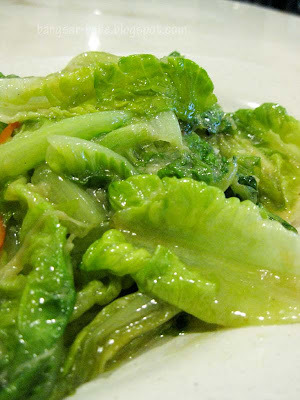 We ordered a plate of stir-fried lettuce with fermented beancurd / fu yee yau mak (RM12) to balance out the meat dishes. They were pretty generous with the beancurd (fu yee) and garlic slices – the vegetables were flavourful without being overly salty. It would have been tastier if it had “wok hei”, but I won’t be a nitpicker because this is one of the few restaurants that aren’t stingy with the fu yee. It’s been a while since I’ve eaten here. I used to come here at least three times a week for lunch and sometimes, after work. The food is still as good, and I quite like the “Chinese-y” ambiance of the restaurant (shocking, I know!). 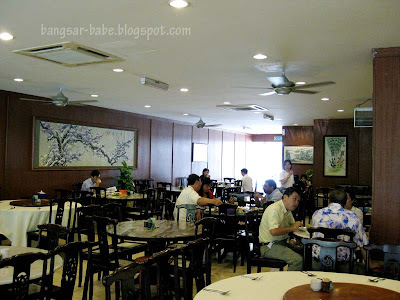 Lunch came up to RM75 for the four of us, and I’m quite sure my dining companions enjoyed the food as much as I did. Verdict: The food here is pretty good and value for money. So if you can overlook the slightly dodgy area, you’ll see what a gem this place is!